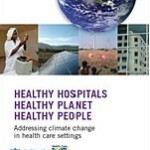 View the latest reports from around the world on climate and health research. The American Psychological Association, Climate for Health, and ecoAmerica highlight the often overlooked mental health consequences of climate change. The report describes impacts at the individual, community and society levels, and discusses mechanisms for addressing these challenges. 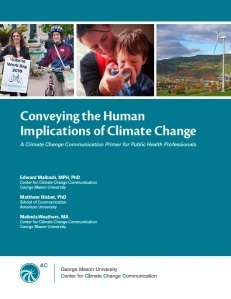 This document is designed for climate change and health communicators of all levels of experience. The comprehensive guide incorporates relevant literature, helping health professionals to use their voices to pass the important message across. Watch the webinar here. This report found that although many states have taken significant steps to upgrade their heat and health warning systems since the deadly heatwaves of 2009, strategies vary considerably from state to state and focus primarily on reactive rather than long-term planning. Read the co-Chair Statement from The Australian Summit on Extreme Heat and HealthWatch expert panelists discuss the challenges of climate change and extreme heat events. Go to the video link here. 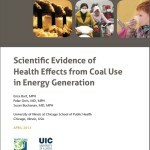 This scientific literature review is a new initiative of the Health Care Research Collaborative based at UIC and carried out in conjunction with Health Care Without Harm, and is part of a project to evaluate the health impacts and healthcare costs of energy generation choices across a number of countries. Authors: Erica Burt, MPH, Peter Orris, MD, MPH, and Susan Buchanan, MD, MPH. 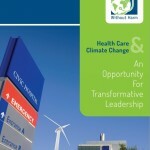 This report from Health Care Without Harm effectively makes the case that clean energy investments can help control health care costs, improve the quality of care, and reduce the environmental impact of the health care sector. This has been the experience of HCWH at Kaiser Permanente. As a result of strategic clean energy investments, we have been able to improve quality and value in patient care, while advancing energy efficiency and the use of renewables. What does the latest IPCC Report look like for human health? The Global Climate and Health Alliance has developed a briefing report, film and series of infographics to explain the health implications of the Intergovernmental Panel on Climate Change’s Working Group II report. 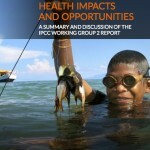 They summarise some of the IPCC’s key findings, discuss their implications for health, and provide recommendations on the way forward.These impacts of climate change on human health and social wellbeing are varied and occur through many different pathways, but by working together, health professionals can turn it into one of the most significant health opportunities. Medact Report– a great, new report out that puts the latest climate science and findings in a context specific for health professionals. 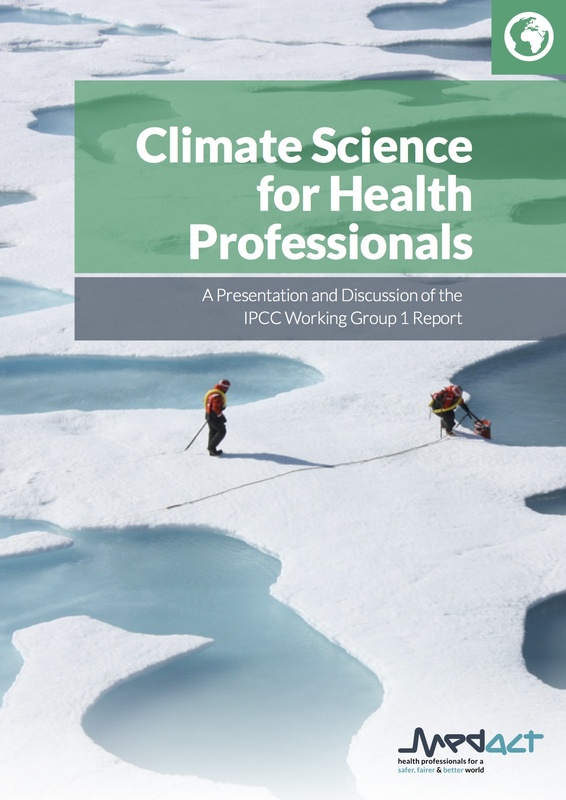 It is important for health professionals to gain understanding of the climate science as a basis for their active and assertive engagement in policy debates about how we respond to global warming. A new study from the Harvard Medical School reveals the human health and environmental costs of coal are costing the US public a third to half a trillion dollars annually. Accounting for the damages from mining, transportation, processing and combustion of coal would double or triple the price of electricity from coal-fired power generation, making safer, renewable energy sources economically competitive, according to the authors of ‘Full cost accounting for the life cycle of coal’. The DARA Climate Vulnerability Monitor 2012 report commissioned by 20 national governments finds a stark and sobering situation in terms of impacts from climate change. Inaction on climate change is now one of the world’s leading causes of death. Climate change is responsible for 400,00 deaths each year, and the carbon intensive global economy responsible for 4.5 million deaths each year. The harm from the carbon economy and climate change is costing $1.2 trillion each year, around 1.7% of global GDP. This is estimated to double by 2030 to 2.5% of global GDP. Putting the world on a low carbon pathway could however cost 0.5% of global GDP, although these costs will rise the longer the delay. The report is unequivocal on the economic case for action: reducing emissions will yield net benefits to the global economy, and “inaction on climate change penalises every country in the world, just as all are set to gain from action”. This report produced by the Australian Government Climate Commission sets out the effects that climate change will have on health and well-being. 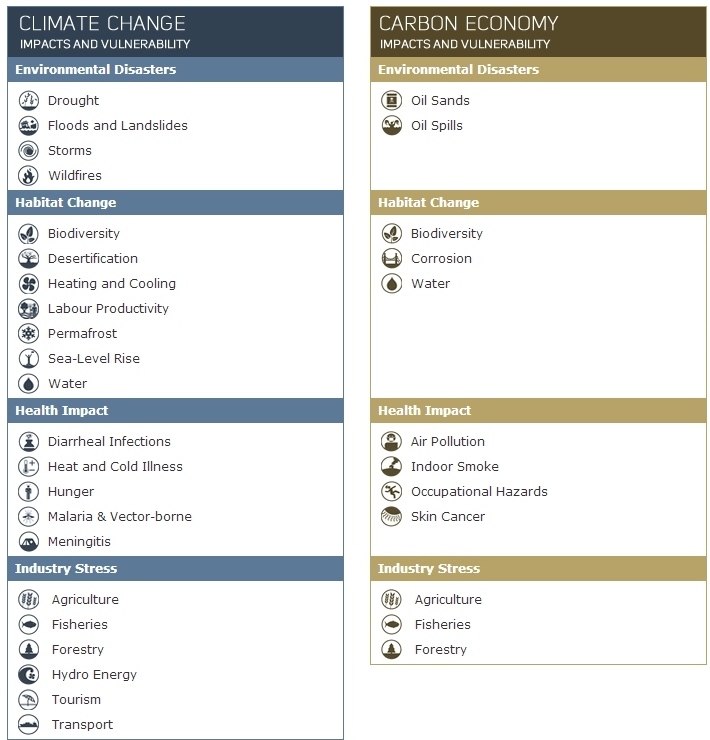 It provides up-to-date information on the challenges to health from a changing climate and how those risks must be managed. It further reinforces the case that Australia, along with other countries, must take urgent action to slow and then stop, the process of human- induced climate change. 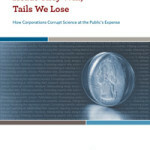 How Corporations Corrupt Science at the Public’s Expense A 2012 report from Scientific Integrity Program at the Union of Concerned Scientists in the US highlights the risks from contemporary censorship of scientists and manipulation, distortion, and suppression of scientific information by corporate interests. By exposing how corporations influence the use of science in public policy decisions making, the report aims to ensure that nations have the ability to develop science-based policies that serve the public interest. Children’s Vulnerability to Climate Change and Disaster Impacts in East Asia and the Pacific Though no one is immune to the effects of climate change, children are particularly vulnerable. The types of climate risks confronting children range from direct physical impacts, such as cyclones, storm surges and extreme temperatures, to impacts on their education, psychological stress and nutritional challenges. Some of the leading killers of children worldwide are highly sensitive to climate changes. This report presents key findings from regional studies as well the perspectives of children on the impact of climate change on children. 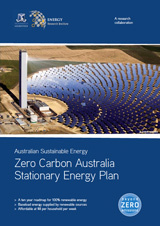 A new report by Melbourne research group Beyond Zero Emissions and the University of Melbourne Energy Institute shows how Australia can move to 100% renewable energy by 2020 using a mix of solar thermal with storage and wind power technologies – using off the shelf technologies being installed internationally. This resource has been developed by the World Health Organisation and Health Care Without Harm. It identifies seven key elements for a climate friendly health care service:energy efficiency; clean renewable energy; green building design; transportation; food; waste; and water. A new report from the Health and Environment Alliance (HEAL) and Health Care Without Harm Europe (HCWH E) which demonstrates very substantial health and economic benefits from strong targets for reductions in greenhouse gas emissions. The report quantifies the climate and health benefits on people’s health, health sector budgets and productivity gains possible from the 30% emissions reduction target being considered in Europe. 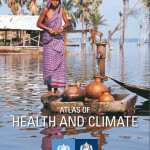 WHO — The Atlas of health and climate is a product of this unique collaboration between the meteorological and public health communities. It provides sound scientific information on the connections between weather and climate and major health challenges. 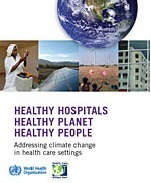 Outlines seven steps health care systems can take to reduce their climate footprint while improving public health, and presents examples from around the world. 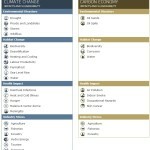 The Climate Institute’s Climate Change Health Check 2020 report summarises the research on climate and health. It was prepared for by Doctors for the Environment Australia in 2008.